September 28, 2010  The senator is trailing in some polls behind Republican Ron Johnson, a millionaire businessman who is making his first run for public office. Johnson is trying to capitalize on growing voter frustration with the state's struggling economy. September 21, 2010  The Chicago Sun-Times reported that the Illinois Democrat directed a businessman to offer millions in campaign cash to former Illinois Gov. Rod Blagojevich in exchange for being appointed to the Senate seat vacated by President Obama. September 10, 2010  States have cut spending and raised taxes to deal with growing deficits. The nation's smallest state, Rhode Island, has the most debt. In Illinois, a state representative was evicted from her district office for late rent payments. Even Tennessee, the state with the lowest total debt, is borrowing. 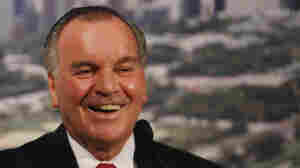 September 8, 2010  Longtime Chicago Mayor Richard Daley announced Tuesday he will not seek a seventh term in office. Part of the city's political royalty, he's credited with building the skyline and beautifying its stunning lakefront, but he leaves office with the budget in crisis, violent crime soaring in some neighborhoods and the feds probing corruption in City Hall. September 7, 2010  After more than 20 years in office, Chicago Mayor Richard Daley says he's not running for re-election. If Daley finishes his current term, he will have held the post longer than even his father, Richard J. Daley, who died in office after serving 21 years. Illinois Politicians: Really Corrupt Or Just Dumb? August 28, 2010  Rod Blagojevich's guilty verdict made him the second consecutive Illinois governor to be convicted of a crime and the fourth in less than 40 years. And it's not just governors. Hundreds of other Illinois public officials have been convicted in a state that some call the "corruption capita," of the nation. August 21, 2010  It's happening not just in New York, but all around the country. Protests targeting mosques and Islamic gathering places, similar to those against the proposed Muslim community center near ground zero, are on the rise. August 18, 2010  Former Ill. Gov. Rod Blagojevich faces a new trial after a jury failed to agree on unanimous verdicts on 23 of the 24 counts against him. The jury did convict Blagojevich on one count of lying to federal agents. 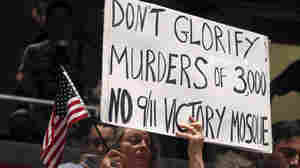 July 25, 2010  Ever since he was marched from his home in handcuffs, former Illinois Gov. Rod Blagojevich has been vowing to testify in his own defense. Closing arguments in his trial are scheduled to begin Monday, but his moment never came. "The biggest lesson I learned," he told reporters, "is that I talk too much." July 20, 2010  Former Illinois Gov. Rod Blagojevich was expected to take the stand on Tuesday, but the sometimes heated testimony of his brother and co-defendant, Robert Blagojevich, took longer than expected. The former governor is accused of scheming to trade or sell the Senate seat formerly held by Barack Obama. July 20, 2010  Former Illinois Gov. Rod Blagojevich might take the stand as soon as Tuesday as he begins to defend himself in his federal corruption trial. Legal experts and criminal defense lawyers say putting the former governor on the stand is a risky strategy but add that Blagojevich's own testimony may be the only realistic way he can counter the words the jury has already heard come out of his mouth. July 13, 2010  The prosecution presented more than five weeks of testimony from some of the ousted Illinois governor's closest associates and wiretap tapes secretly recorded by the FBI. 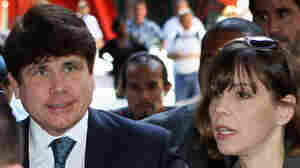 Blagojevich has pleaded not guilty to scheming to sell or trade President Obama's former Senate seat. The defense won't start its case until next week. 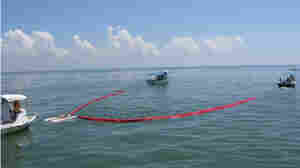 July 10, 2010  There's a new skimmer joining the fight against the oil in the Gulf. The creators of the heavy oil recover device say it can scoop up more oil faster and do it more efficiently than traditional skimmers. But this improvement is doing little to quiet critics who say BP and the government are not getting enough skimmers to respond to the spill. July 7, 2010  The company with the two-letter name seems more like a four-letter word to many residents along the Gulf Coast, especially those who earned their living fishing the waters that are now tainted with oil. So BP is making changes to its much maligned Vessels of Opportunity program and is hiring more local boats in the cleanup effort. July 5, 2010  The tar balls found on Bolivar Peninsula and Galveston Island are the first evidence crude gushing from the Deepwater Horizon well has reached all the Gulf states. Land Commissioner Jerry Paterson said the oil will be cleaned and paid for by BP, which announced Monday that costs from the spill had climbed nearly half a billion dollars in the past week, to just over $3 billion.